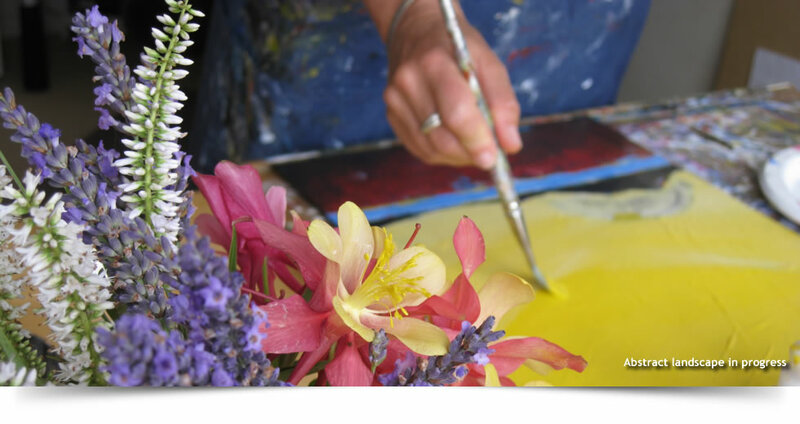 I paint the world around me. I live in one of the most beautiful places in the world. IMHO! Surrounded by the Southern Alps, deep blue lakes, crystal clear rivers and endless golden fields. 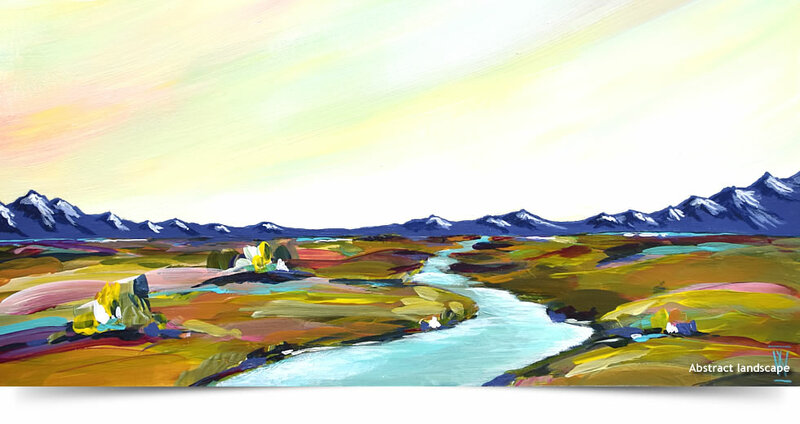 Having lived and climbed in this region (Central Otago) for nearly 20 years, the landscape has become part of my soul. 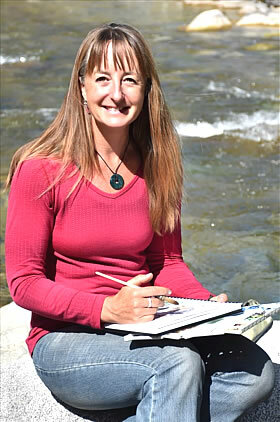 In my home studio I paint abstract landscapes and watercolour landscapes that are a reflection of this place I call home. I have a bold use of colour and texture, and I often include symbols and imagery in my paintings that tell a story of the journey through these big landscapes. One of my absolute joys as an artist is painting outside. 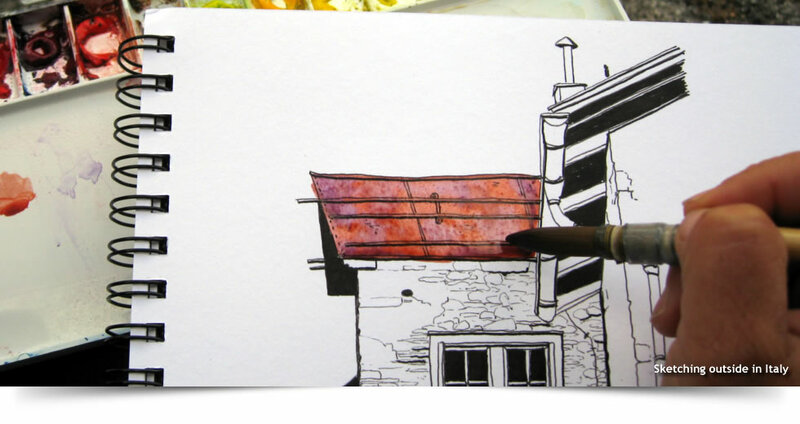 I always have a sketchbook and watercolour paints and brushes with me. 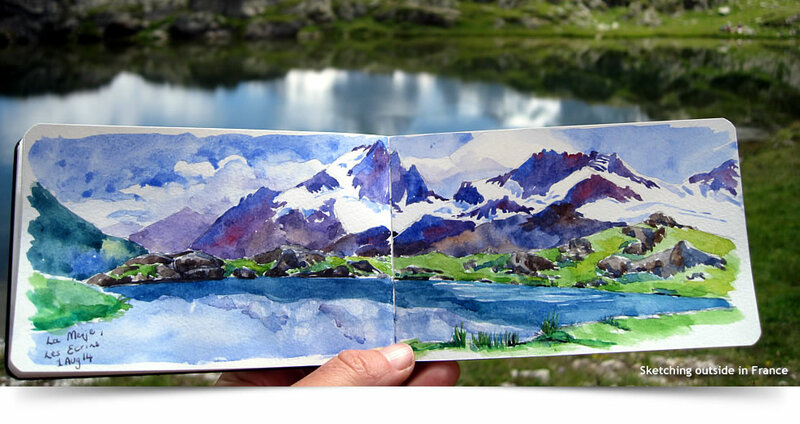 I even had a tiny-tiny sketching kit with me on a climbing trip to Patagonia. In New Zealand I take a watercolour sketchbook hiking with me and paint the beautiful landscape. 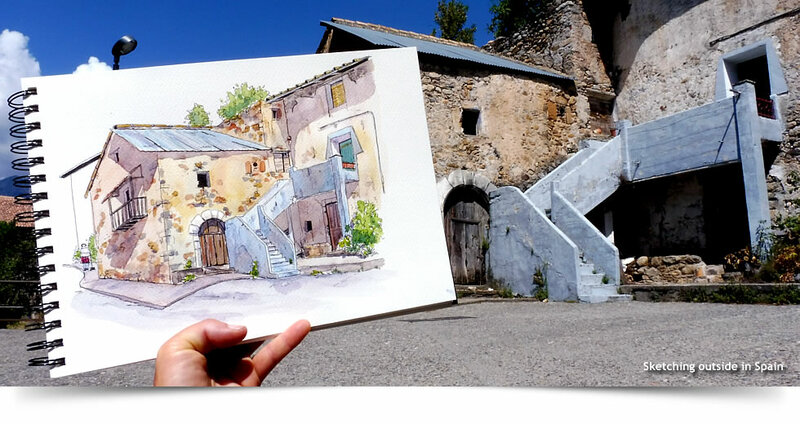 In Europe my main interest is old buildings and I complete watercolour sketches during our travels of the places we visit and the people we meet. Each year I fill a big pile of sketchbooks. 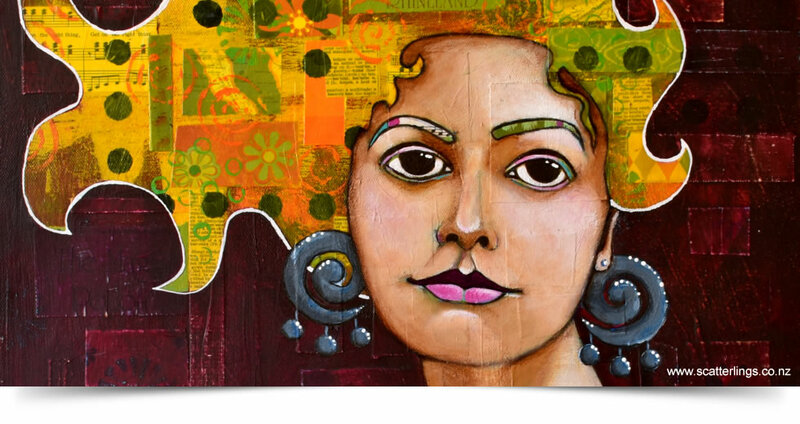 Inspired by my desire to support environmental causes I did a series of portraits of Earth Godesses (my Gaia series) in 2017. 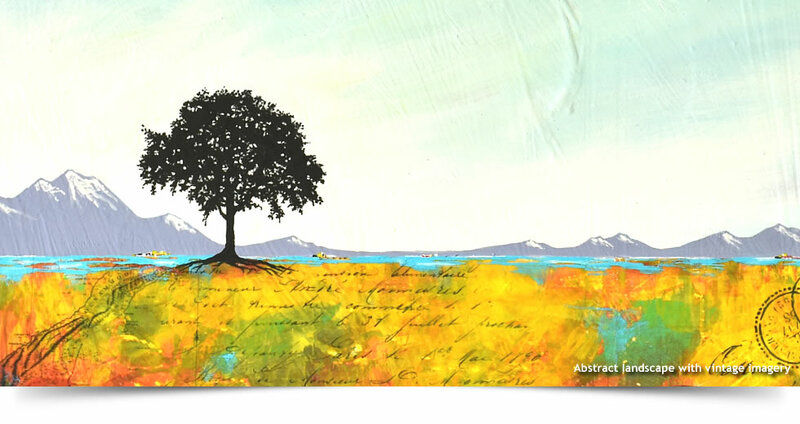 A portion of the profits from the sale of these paintings goes to support an environmental group. Talk to me if you have something in mind. Click here to view a selection of past and present works. 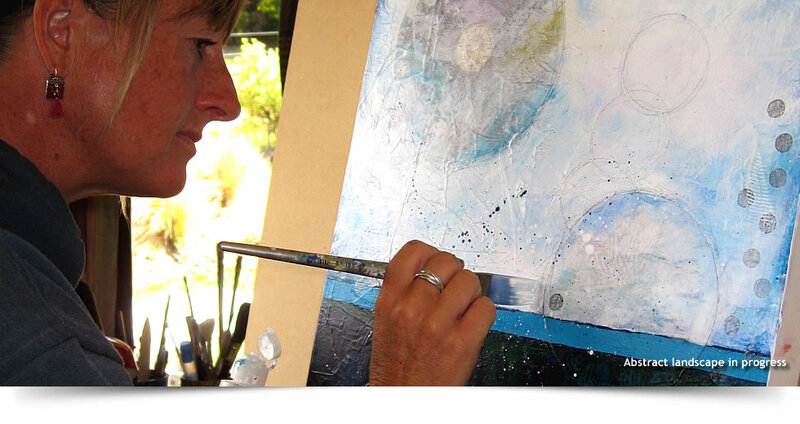 I am a member of the Queenstown Art Society and the Wanaka Art Society. I have works on display at The Cloakroom Gallery in Queenstown and you can view works for sale here.